Note: Drycharger pictured is not included. Option can be selected in drop box below. definitely not for the faint at heart, and definitely no cheese with all this whine!!! 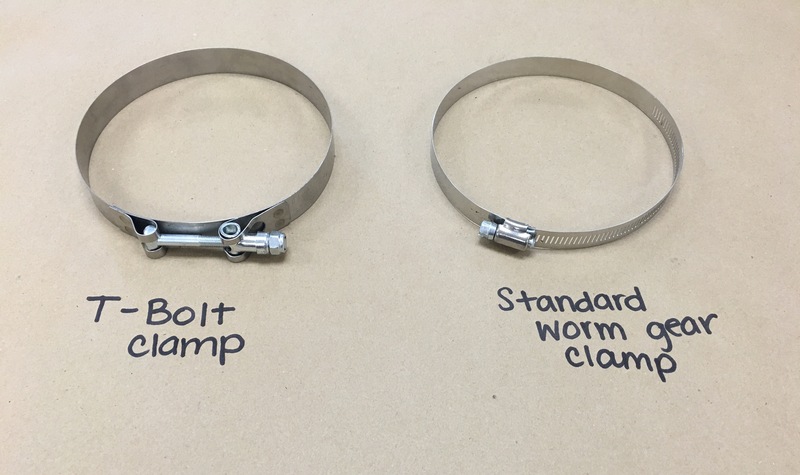 If you would like to upgrade to T-bolt clamps below the option has been added in the drop down box below, this option includes 2 T-bolt clamps. Due to demand, this item may up to 2 weeks to ship, please call for availability. I love it! Sounds amazing! honestly @bwoodyperformance makes one of the best intakes on the market for a hellcat! sounds great and you can actually feel the difference 👍 10/10 so far! Man I love this intake...really woke up my Hellcat and man that whine! Killer. Ordered a CAI for my Hellcat and when it arrived, there were a few issues that I️ felt were not on par for the B Woody level of quality.